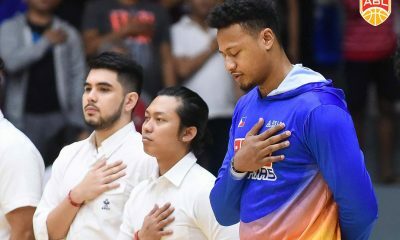 In their final game before the 2016-17 ABL playoffs, Alab Pilipinas picked up a dominant win against the Kaohsiung Truth, taking a 107-85 victory on Sunday evening at the Kaohsiung Municipal Senior High School Gym in Taiwan. 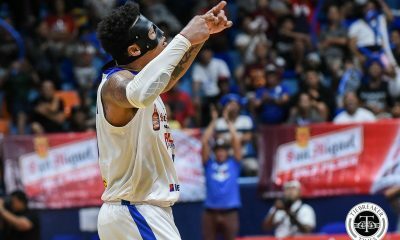 With the win, Alab Pilipinas have swept their series against the Kaohsiung Truth. 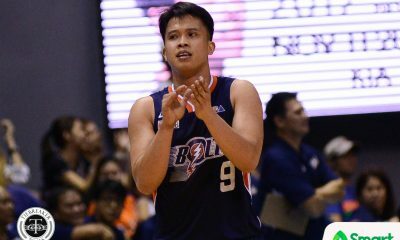 More importantly, the Philippine-based squad will enter the playoffs with a two-game winning streak, ending its elimination round campaign with an 11-9 record. Lawrence Domingo paced Alab with 23 points on 11-of-17 shooting to go along with nine rebounds. 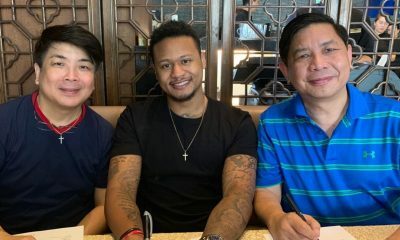 Skipper Bobby Ray Parks, Jr. bounced back from a string of subpar outings as well, flirting with a triple-double with a statline of 21 points, 10 rebounds, and seven dimes. But it was Jens Knuttel who fueled Alab in this game, going a perfect 5-of-5 from the field for 10 markers. Alab led by as much as 30 points in the game, 50-20, with 3:42 left in the game. However, the Truth, wanting to end their dismal campaign on a positive note, rallied back and were able to slice the lead to just six points, 78-72, with eight minutes left in the game. The third-seeded team was able to regain their rhythm, however, increasing their lead to a 20-point margin with a minute left in the game. World Imports James Hughes and Sampson Carter also had field days during the game. Hughes had 14 points and 14 rebounds, while Carter added 16 points off the bench. 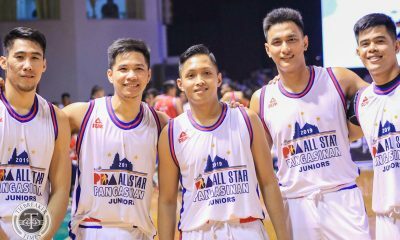 Alab shot had an outstanding 82 points in the paint, shooting at a high 55 percent clip from the floor. They were also able to out-rebound the Truth 50-30 that led to a 22-11 advantage in second chance points. Cedric Oliver paced Kaohsiung with 17 points and 11 rebounds. Filipino imports Raymar Jose and Achie Inigo added eight and five markers respectively. 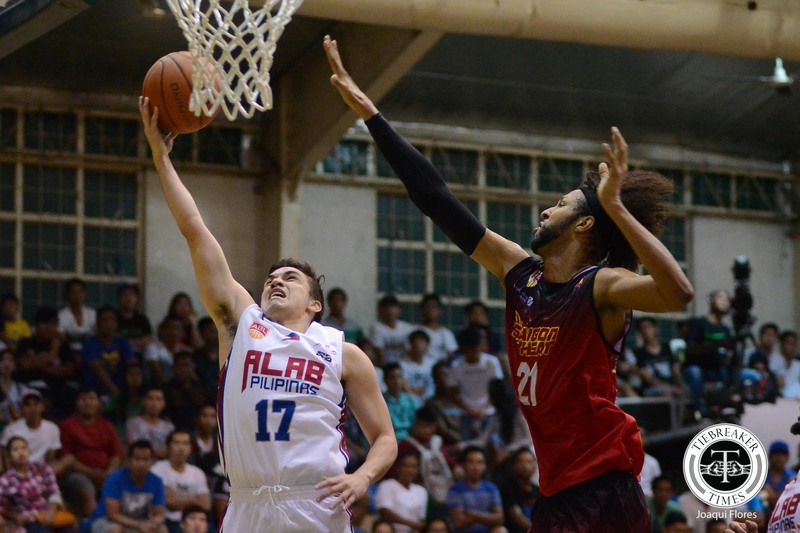 Alab Pilipinas will now brace for their semifinals match-up against the Singapore Slingers. Their series is set to begin on Sunday, April 2, at the OCBC Arena in Singapore. 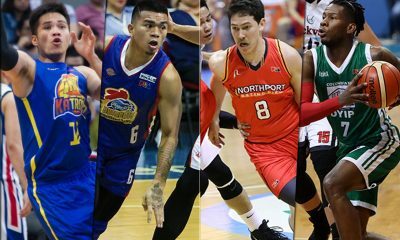 Alab Pilipinas (107) – Domingo 23, Parks 21, Carter 16, Hughes 14, Celiz 13, Knuttel 10, Cawaling 6, Mendoza 2, Acuna 2, Gavieres 0, Fortuna 0, Hubalde 0. Kaohsiung Truth (85) – Oliver 17, Hsu 17, Wang 17, Jose 8, Andrade 8, Chang 7, Wey 6, Inigo 5, Luo 0. Quarterscores: 28-16, 55-34, 75-63, 107-85.